Stand Tall’s vision is to provide more than an academic education. The students are involved in all aspects of the school, from painting murals on the school walls to the planting of the vegetable garden as well as caring for the goats, chickens and cows, and doing a bi-weekly clean-up of school grounds. We serve the needs of each child in a safe and supportive environment and we strive to achieve academic success without sacrificing the individual expression and curiosity that is part of every child. The students sit at group tables, and are encouraged to work in teams. The academic curriculum is supplemented with a music, dance, and drama program, art classes, music classes, digital instruction and skills training. 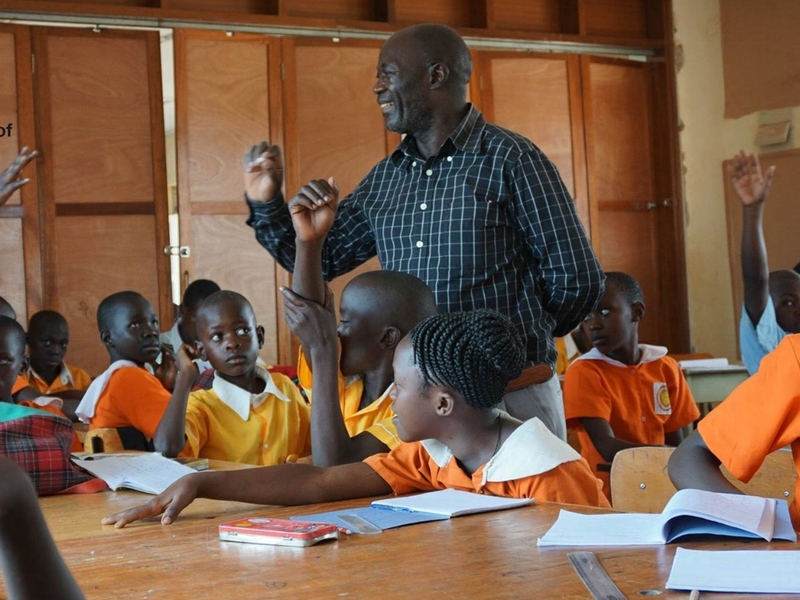 All the teachers are trained in child-centered teaching techniques and we hold professional development workshops regularly. Vocational training in addition to our academic curriculum: baking, tailoring, animal rearing & vegetable gardening. Dynamic dance, drama, music and visual art classes help develop confidence and individuality in our students. We introduce hands-on digital skills at an early age in our dedicated computer lab and through the use of digital tablets.